How can governments and NGOs raise employment and reduce the risk of violence among these poor and risky populations? Aid programs increasingly focus on helping youth through markets, especially through microenterprise development. The logic of this assistance, however, rests on the existence of market failures among the poorest of the poor: imperfect credit markets, or production discontinuities such as minimum start-up costs or low returns to small investments. Cash grants or credit are needed to achieve minimum scale. Street youth with no assets and weak social networks may be particularly vulnerable to this trap. But so far there has been little research proving the existence of market failures or the ability of aid to help. Meanwhile, both psychologists and economists have begun to explore the extent to which behavioural skills – such as impulse control, time preferences for immediate vs. delayed gratification, risk aversion, conscientiousness, setting and keeping long range goals, and being deliberate in choices – contribute to poverty. In a war zone, being highly present-focused might indeed be the optimal survival strategy. During peacetime, however, the absence of such preferences could in theory constitute a second source of persistent poverty: a behavioural poverty trap, leading to low savings rates, wastage of any windfalls, and high-risk behaviour including involvement in drugs, crimes, and violence. Importantly, core principles underlying much economic and psychological theory assume that such preferences are fixed in young adulthood, leading anti-poverty projects to take a paternalistic approach. Again, little research has critically examined these assumptions. Counter to conventional wisdom, preliminary investigation suggests that a behavioural transformation program, akin to cognitive behavioural therapy, can be successful. This finding, if true, would be ground-breaking, challenging conventional economic and psychological models of behaviour, which posit that preferences and behaviours are stable and difficult to change, especially among adults. 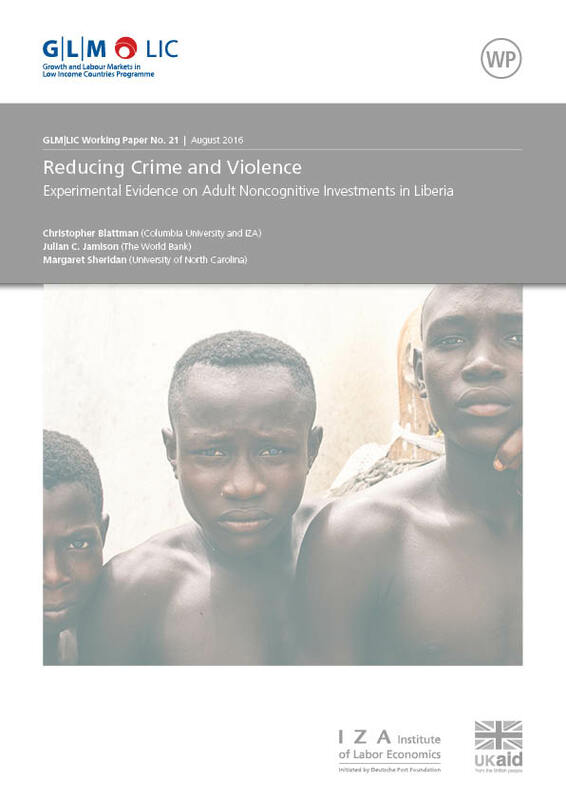 The study is designed to disentangle how cash and capital constraints versus dysfunctional preferences and behaviours contribute to the poverty and violence of the young men and women living on Monrovia’s streets, and to create an inexpensive and scalable program that will reduce poverty, violence, and social instability among unstable youth in Liberia and beyond. On the preferences and behaviours side, the questions are (a) What role do cognitive and behavioural traits play in persistent poverty and violence? ; (b) Are these cognitive and behavioural traits malleable in adulthood, and is sustained cognitive behaviour change possible? ; and (c) Will changing them reduce poverty and violence? On the market failures side, the questions are (a) What role does the lack capital and credit play in persistent poverty and violence? ; (b) Will unconditional cash transfers relieve this constraint and reduce poverty and violence? ; and (c) Do capital constraints and cognitive and behavioural deficiencies interact, and must both constraints be relieved to reduce poverty and violence in sustained way? 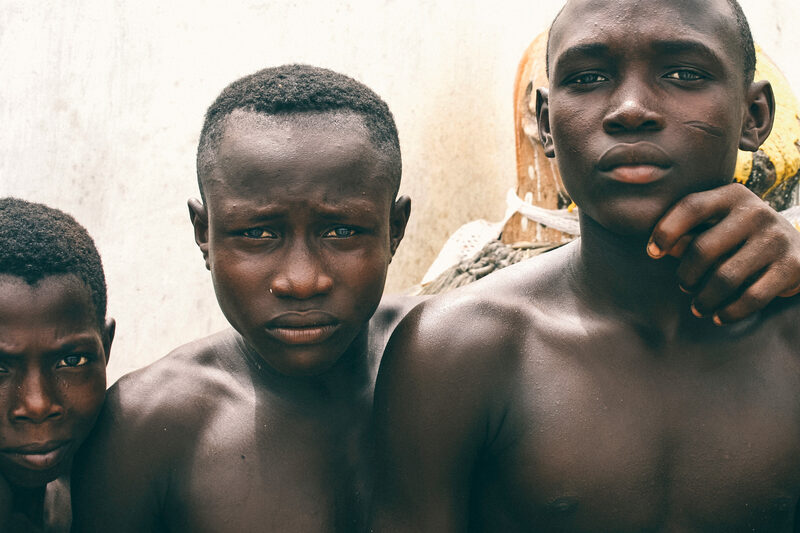 This “Sustainable Transformation for Youth in Liberia” (STYL) program is an experimental programme, being jointly run by the research team and two NGO partners: CHF International and NEPI. As of mid-2012, STYL will have enrolled approximately 1,000 youth. Youth are recruited from urban areas where large numbers of underemployed youth congregate, and are targeted for the programme on the basis of exhibiting the following characteristics: persistently poor; homeless; lack of self-discipline; angry, hostile, depressed; idle and not busy with productive pursuits; involved in organised or petty crime, and/or conflict with the law; and getting drunk and/or high regularly. The STYL study is currently experimentally evaluating two interventions, each on its own as well as in concert with the other. A behavioural Transformation Programme (TP), akin to cognitive behavioural therapy (similar to Alcoholics Anonymous) and life-skills programs. The TP has the aims of bolstering the cognitive and social skills necessary for entrepreneurial self-help, raising youth’s aspirations, and equipping the youth to reach them. The TP involves half-day sessions 3-times a week, for 8 weeks, held in groups of 20 led by 2 counsellors. The curriculum includes modules on anger management, impulse control, future orientation and planning skills, and self-esteem. An unconditional cash grant programme, in which youth are given a large $200 one-time cash grant disbursement. How the grant is spent is entirely up to the recipient, though a grant orientation session provides some basic training on financial management and business planning. Individual youth are randomly assigned to either receive the TP; the cash grant; the TP and then the cash grant; or neither. The plan is to conduct both short-term and long-term endline surveys to capture treatment effects, through surveys and behavioural games. If the basic interventions are shown to be effective, the research team hopes to further improve program design through iterative tweaking and testing, including varying cash grant size and TP length and intensity, and trying additional potentially complementary interventions, in order to help policymakers achieve goals most cost-effectively.